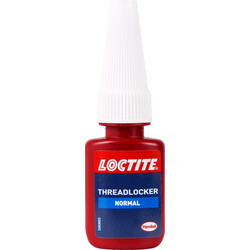 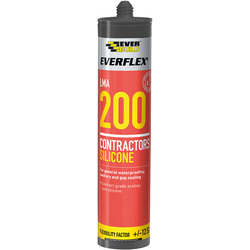 Discover the Toolstation range of sealants to effectively block liquids from passing through surfaces, joints or openings in various materials around the home. 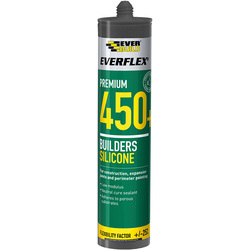 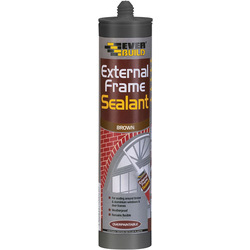 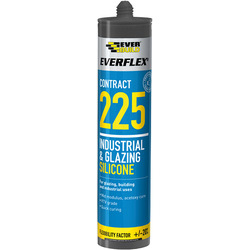 Find brands you can trust like Evo-stik, EverBuild, Sika and WeatherMate for a durable and long lasting seal. 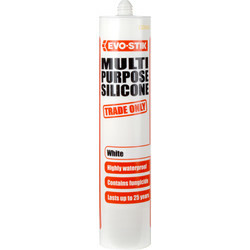 Silicone sealant offers a mostly waterproof and mould resistant way of sealing and Toolstation stocks a range of silicones to complete the job. 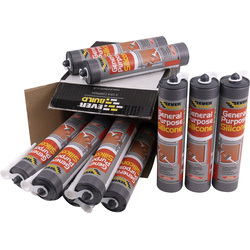 View SX Contractors general purpose acetoxy silicone, glazing silicone and premium building silicone sealant. 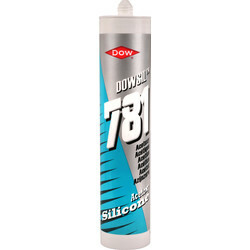 Alternatively, try the Dow Coming acetoxy silicone, Evo-Stik trade multipurpose silicone sealant for bonds to a variety of building substrates, or polyurethane sealant for exceptional resistance to mechanical wear. 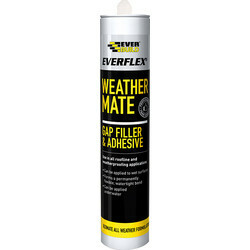 For weather resistance and outdoor purposes, try the WeatherMate gap filler & adhesive for application to lead, steel or roofing felts that can be applied to wet surfaces. 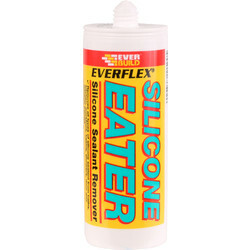 Clean up the excess silicone sealant with silicone eater. 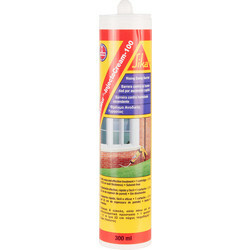 Conduct damp proofing with the SikaMur injecto cream injectable damp proof course that easily fills pre-drilled holes. 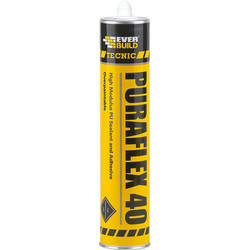 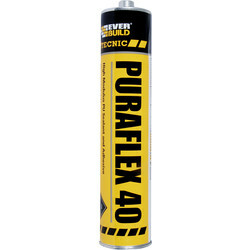 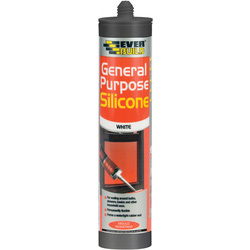 Find silicone sealant in clear, white, brown or black. 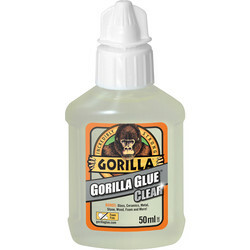 Click and collect at your nearest branch or spend £10 online and receive free delivery.